A new study finds that while social media use is increasing, content creation has reached a plateau. Mark Zuckerberg, founder of Facebook, is getting a lot of publicity these days, including his own comic book later this year. You can kiss blogging service Windows Live Spaces good-bye; it’s being replaced by WordPress.com via a recent deal between Microsoft and Automattic. Trying to find a job via social networking can be tough but here are ten tips to help you land a new gig using Facebook and LinkedIn. If you have a brick-and-mortar storefront, it is possible to use social media to boost your influence and customers. 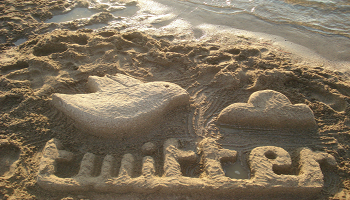 The new version of the Twitter web interface has a lot of people talking; find out the changes. Celebrities on Twitter have little influence over their followers, finds a new study conducted by Northwestern University. If you’re looking for a way to gain Facebook fans, read how one band gained over 3,000 fans by spending only $250.